Just as Todd VanDerWerff has been advocating for weeks now, the good voters of Hulu’s Best in Show tournament have selected Hannibal over Game Of Thrones in convincing fashion. (For most of the voting period, Hannibal was capturing around three-quarters of the total votes cast in this particular contest.) Game Of Thrones handily defeated its three previous opponents—True Detective, Arrow, and Orphan Black—but it proved no match for everybody’s favorite dark crime/horror show with a philosophical bent. Hannibal, meanwhile, had to defeat Bob’s Burgers, Sherlock (which very nearly defeated it), and Community (winner of the previous two contests) on its way to the prize. It was a much harder row to hoe than Game Of Thrones had, but only just, so Hannibal’s convincing victory in the finals was at least somewhat surprising. “It’s a wonderful testament to the passion of the Fannibals, and it feels like a great, wonderful hug from the audience. The show absolutely feels the love and hugs back,” said the series’ showrunner, Bryan Fuller. Perhaps even more importantly, this victory also validates Todd VanDerWerff, guest commentator for the Best in Show, in all of his future life choices. 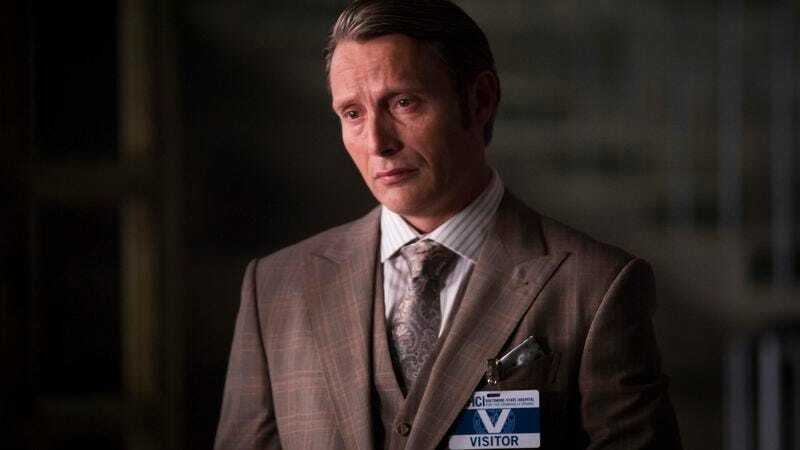 Not only did he pick Hannibal over all four of its opponents, but he also correctly predicted to his disbelieving wife and co-workers that Hannibal would win the whole thing before it began, based solely on his belief that it was the show most likely to rally its fans to sweep down from the peaks of Twitter and Tumblr and mash on the voting button until their clicking fingers were bloodied and their mice were reduced to dust. Is it a good sign for the show’s renewal? It’s impossible to tell, because it’s highly unlikely that NBC is going to renew a show because it won an Internet contest. But it’s also the sort of thing that can’t hurt the show at this point, because networks are always looking for evidence of positive fan engagement, and this is one of the most positive signs there is. Also, it would probably help if we could just get the 28th Amendment to the Constitution—which requires all Americans to watch the winner of the Hulu Best in Show poll—ratified. Won’t you help us please?